Welcome to winter at Camp Wigwam! 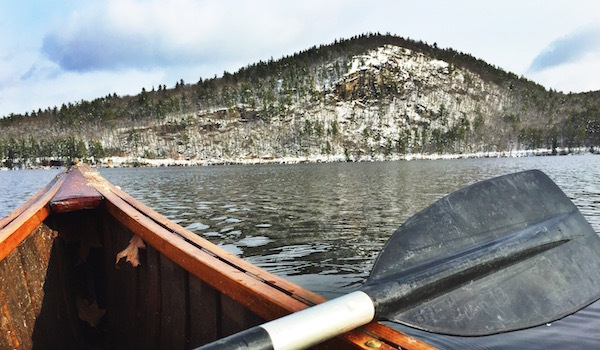 Indeed, our first measureable snow fall occurred during the last week of November, and so we have posted this shot of a recent canoe outing, just beyond the slalom course, overlooking a snow covered Bear Mountain. A beautiful and rare shot. There was a wonderful gathering a few weeks ago in Charlottesville, Virginia, for the Bat Mitzvah of Jonah Eng’s sister, Gabby Eng, as Wigwammers from as far away as New Orleans, Tampa, Wilton – Connecticut, even Waterford, Maine met for that memorable occasion. Mazel Tov to the extended Eng family. The Camp Wigwam Slide Show has garnished rave reviews. We’ve received many reports of families retiring from the Thanksgiving table directly to the TV set so that family and friends could get a brief glimpse of the Wigwam magic of 2014. Wigwam’s first reunion of the season was held in late October, in Denver Colorado. Scheduled just after Jesse Hettleman’s Bar Mitzvah (best wishes to that longtime Wigwam family as well), a large group of campers met at Barry Dechtman’s house for camp stories, great food, and Wigwam trivia. A special thanks to the Dechtman family for hosting that event. The date for the New York City reunion has been set, for Sunday, January 25th, at Ted’s Montana Grill in mid-town. 11:30 A.M. – 1:30 P.M. A formal invitation will be forthcoming later in the month. 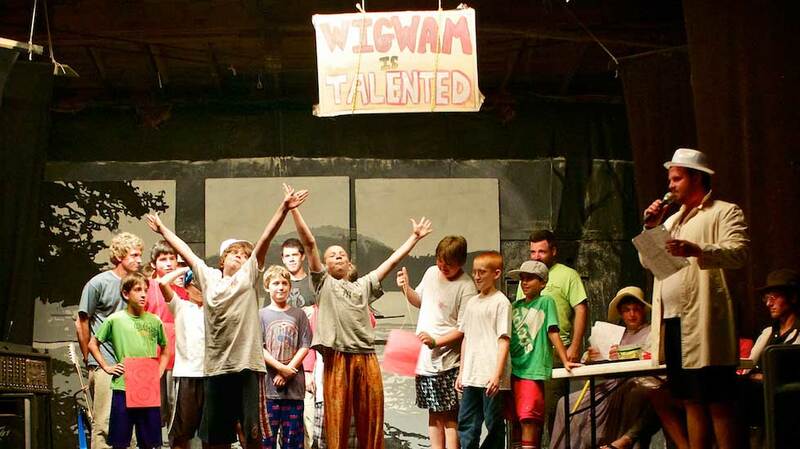 Oh, by the way, here comes Camp Wigwam 2015 – Can Not Wait!! Previous PostAnother new challenge at Camp Wigwam!